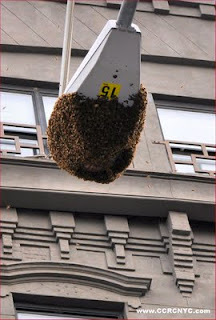 Bees made a lamp post on Mott St. their home today. A huge crowd was gathered across the street from Lin Sing Association where they stood gawking up at the lamp post. 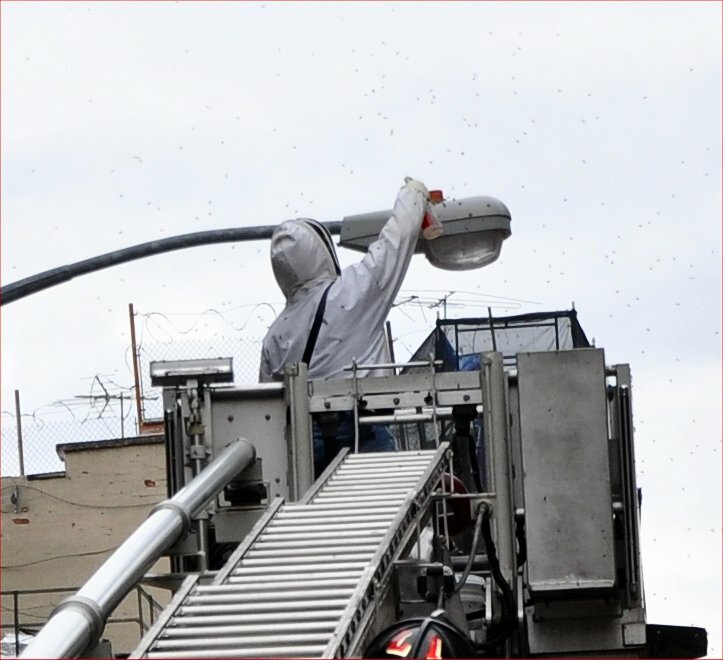 The NYPD has a special bee keeper who will be on site to remove the hive. 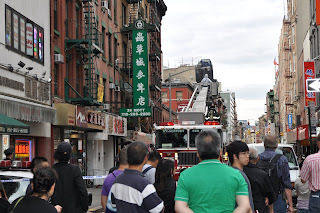 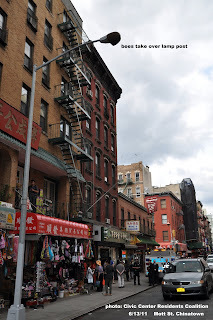 At 5:pm Mott street was being closed off to vehicular traffic. NYPD closed off Mott St. to vehicles at 5:pm today awaiting the NYPD bee keeper. The bees will be relocated. 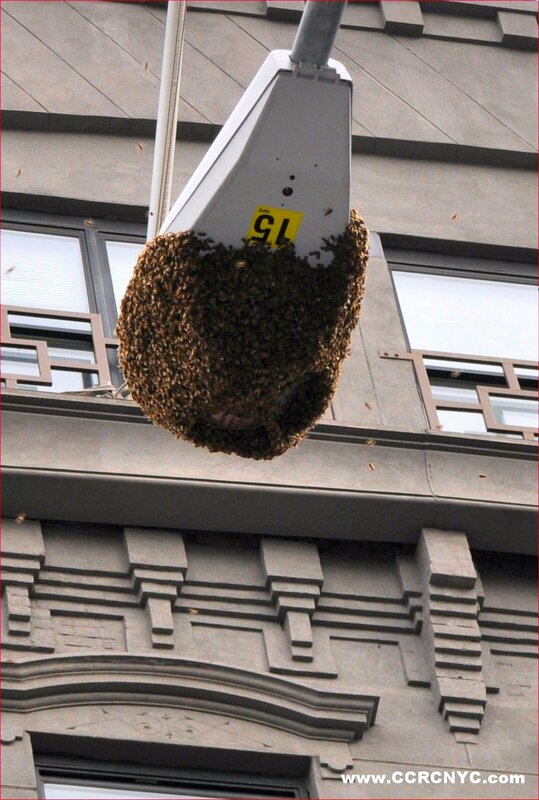 That's exciting, but I wouldn't like being there with such a number of bees.